The biggest problem I have in planning a plot–still, after all these years–is that I am too nice to my characters. I can’t imagine the horrible things that need to happen, without a big struggle. Listen up: What is the worst thing that could happen to your character? It MUST happen at the climax of the story. You can’t wimp out and make it easy on him/her. It must be totally and utterly horrible. 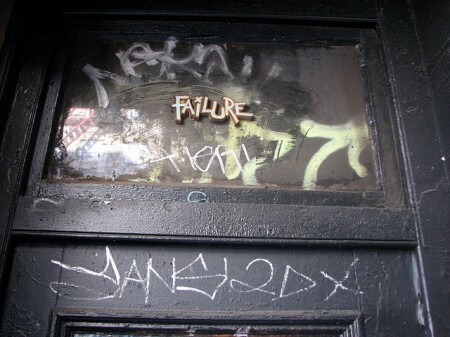 When your character walks through the doorway to Failure, your plot really gets going. Of course, I mean that within the context of your story. You may have a pastel palette for this story, so the absolute worst thing might be if Jill has to clean her room. Or, you may have a palette with deep colors, including black. Jill must face the death of her best friend and she has to choose to take her place or not. Or, worse, Jill may face a life-sentence in a horrible jail, a living hell. Whatever it is, the character MUST be faced with the worst. Then, you can work backwards from there and create a series of scenes that lead up to that. At every step, things MUST get worse. I also try to pair that with an internal character issue: the climax is the point where the internal and external story arcs come together. The resolution of that climax turns on some internal change in the character. The “absolute worst” thing for the character to face is determined by the internal arc. What would challenge something fundamental in your character? Jill want more than anything to gain her mother’s approval; but when her best friend is threatened, Jill goes against her mother’s commands to save her friend. She is now thinking independently. Why is this so hard for us to do? Why are we peacemakers? How do you overcome our “tea party” mentality so you can be brutal to your characters? Thanks, Darcy. This is exactly what I needed to hear at this point in my novel. For some reason, I always forget I have to put away my nurturing spirit and be mean to my characters. Maybe because they seem so real? Great post, Darcy. Your blog is my favorite because every post is brief yet powerful. Awesome. I know this is about silent film – but feel this can be used for writing. No matter how interesting if a subject if it is not on topic – it is not driving the material forward – and when readers say “where am i?” you begin losing them.